Canadian Baseball Hall of Famer Ron Piche (Verdun, Que.) passed away eight years ago today. · The Canadian Baseball Hall of Fame will announce its 2019 induction class on Tuesday at 9 a.m. E.T. The new inductees will be honoured in a ceremony at the Hall of Fame grounds in St. Marys, Ont., on June 15. The ceremony will come in an exciting year for the Canadian ball hall as it opens its expanded and newly renovated museum. A 2,500-square foot addition to the museum was completed late last summer and the expanded area will offer a multi-purpose room for groups and social events, as well as temporary and traveling exhibits. 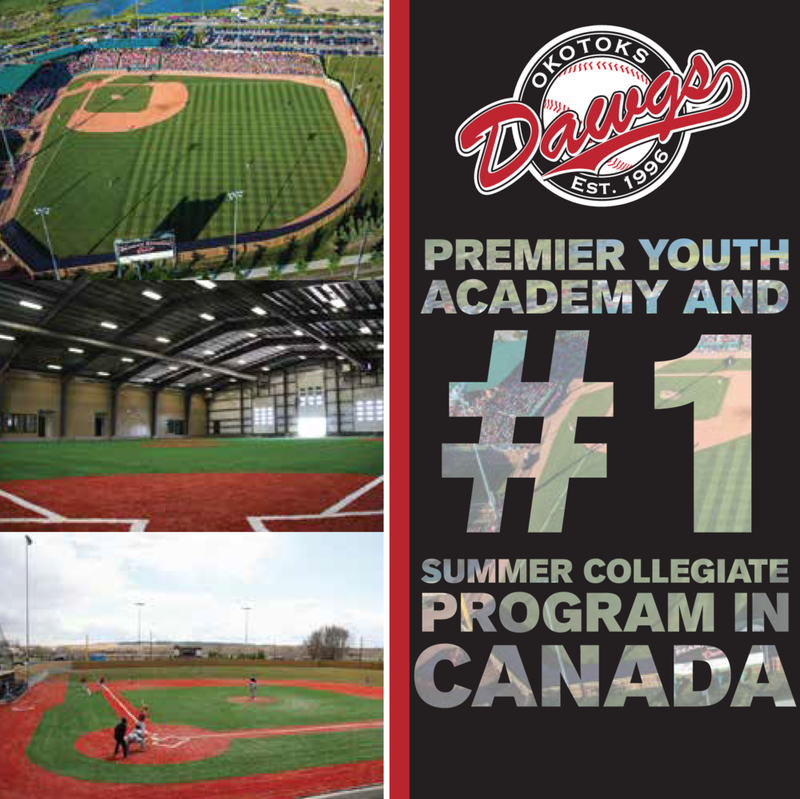 The expansion also includes an archive and resource library that will house the Hall’s historic documents and serve as the home of the Centre for Canadian Baseball Research. The grand re-opening will happen in the spring. · Thank you to George Farelli of the Canadian Baseball Network for reporting in his regular column that highlights transactions involving Canadians in the professional ranks that Eric Gagne (Mascouche, Que.) will serve as the bullpen coach for the Texas Rangers’ triple-A affiliate Nashville Sounds in 2019. In 2003, Gagne became the second Canadian (Fergie Jenkins (Chatham, Ont.) was the first in 1971) to win the National League Cy Young Award when he recorded 55 saves and posted a 1.20 ERA while striking out 137 batters in 82 1/3 innings as a closer for the Los Angeles Dodgers. In all, the three-time National League all-star notched a Canadian record 187 saves during his 10-year big league career that also included stops with the Rangers, Boston Red Sox and Milwaukee Brewers. In more recent years, he has served as the head coach of France’s national baseball team. He also has an ownership stake in the Trois-Rivieres Aigles of the independent Can-Am Association. · Last week, I shared that it was Toronto native Rich Butler who hit the first regular season major league home run off of 2019 National Baseball Hall of Fame inductee Roy Halladay. It was a two-run shot in the bottom of the fourth inning in a contest that the Blue Jays eventually won 7-5 at Tropicana Field on September 20, 1998. But this got me wondering about how other Canadians fared against Halladay. The answer is surprisingly well. Justin Morneau (New Westminster, B.C.) clubbed three home runs in 20 at bats against the ace right-hander. Only four big leaguers (David Ortiz, Carlos Beltran, Jason Giambi and Hideki Matsui) hit more. Meanwhile, Canadian Baseball Hall of Fame inductee and Fredericton, N.B., native Matt Stairs was 10-for-28 (.357 batting average) with four walks off the Blue Jays legend and. Trail, B.C. native Jason Bay also clubbed two home runs off Halladay. Joey Votto (Etobicoke, Ont.) also took Halladay deep once. · Every morning I get up and jump on my treadmill and watch sports highlights, and almost every morning the sports anchors talk about Houston Rockets scoring machine James Harden. And every time they mention his name (I guess this is the Canadian baseball junkie in me) I think of this baseball card (below). Yes, Victoria, B.C., Rich Harden’s given name is James Richard Harden. · “Dad fought until the bitter end. He was without a doubt the greatest warrior I have ever witnessed. With my mom on one side of him, Mel Jr. and me on the other side. Mel Jr. had his right hand, and I had my left hand on his heart. We were all together when he took in his last breath,” reads a sentence in the beautiful tribute that former Toronto Blue Jays pitcher Todd Stottlemyre wrote about his father, Mel, who passed away after a long battle with cancer on January 13 at the age of 77. You can read Stottlemyre’s full tribute here. 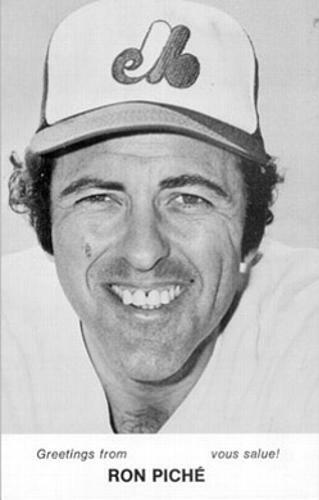 · Please take a moment to remember Canadian Baseball Hall of Famer Ron Piche who passed away eight years ago today at the age of 75. Signed by the Milwaukee Braves in 1955, the Verdun, Que., native made his big league debut on May 30, 1960. The Canuck right-hander excelled as a reliever with the Braves in his rookie campaign. Suiting up alongside Hank Aaron, Warren Spahn and Eddie Mathews, Piche finished 27 games and notched nine saves (ninth in the National League) that season. His finest major league season came three years later, when he recorded a 3.40 ERA in 37 games. He’d later pitch for the California Angels (1965) and St. Louis Cardinals (1966). After retiring as a player, Piche became the Montreal Expos director of Canadian scouting from 1977 to 1985 and later worked in a public relations role with the Expos which earned him the nickname “Monsieur Baseball.” He passed away from complications from cancer.